Bruce MacDougall Q.C. is a mediator and arbitrator with ADR Chambers. Bruce continues to practice law but also acts as a mediator and arbitrator. He mediates and arbitrates all types of litigated and non-litigated disputes, specializing in aviation, marine, defamation, products and professional liability as well as directors and officers and other insurance-related matters, including insurance coverage and reinsurance. Bruce graduated from Queen’s University in 1962 with a degree in Engineering Chemistry, received his LL.B. from Queen’s in 1965, and was called to the Bar in 1967. 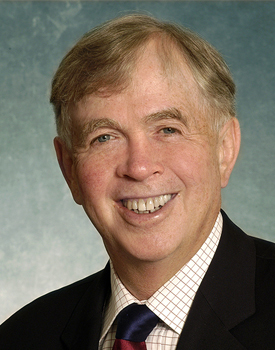 He has been a member of the firm of Paterson, MacDougall LLP and its predecessor partnerships for more than 40 years. He was appointed Queen’s Counsel in 1982. His practice encompasses most of the spectrum of civil litigation from a national and international perspective, including: aviation and space, marine, product and professional liability, directors and officers liability, defamation and complex insurance disputes including insurance and reinsurance coverage. Bruce represented a major Canadian newspaper for more than 25 years and also represents leading Canadian and international airlines and other aviation entities. He is a leader in the fields of aviation, insurance and reinsurance, product liability and defamation. He has served as the Chair of the Air and Space Law Section of the Canadian Bar Association and the Chair of the Maritime Law Section in Ontario. He served on Ontario Council and chaired the Finance Review Committee (Audit Committee). He is listed in the International Who’s Who of Business Lawyers, Aviation and in the Canadian L’Expert Directory in the areas of Aviation (Regulatory and Litigation) and Litigation (Defamation and Media). He received mediation training from the Stitt Feld Handy Group. He is a member of the Board of Directors of the Air Transport Association of Canada and serves on the Audit Committee. He is also a member of the Advocates’ Society and a member of the Federation of Defence and Corporate Counsel, having served on the Transportation and the International Practice and Law Sections, among others. Bruce is available for appointments through the ADR Chambers’ Toronto office.